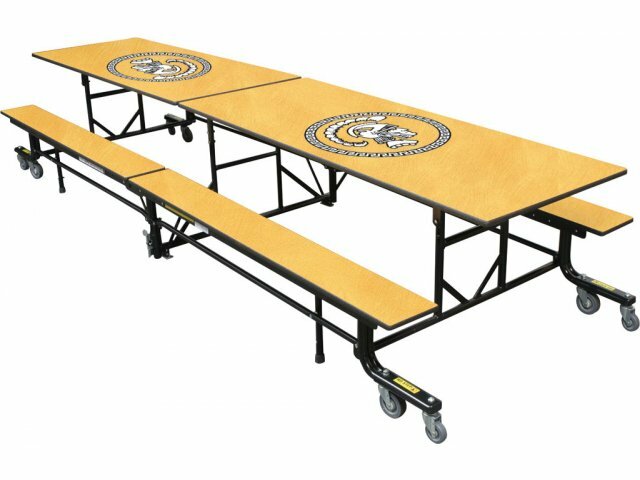 Introducing the new generation of cafeteria tables from Palmer Hamilton. Innovative, durable and aesthetic, this cafeteria tables is the perfect solution for school cafeterias of any shape or size. A unique Lift-Assist system provides this table with a smooth, controlled operation that won't strain your back. The Doubleguard mechanism enables the table to fold flat for easy mobility and minimum storage space. 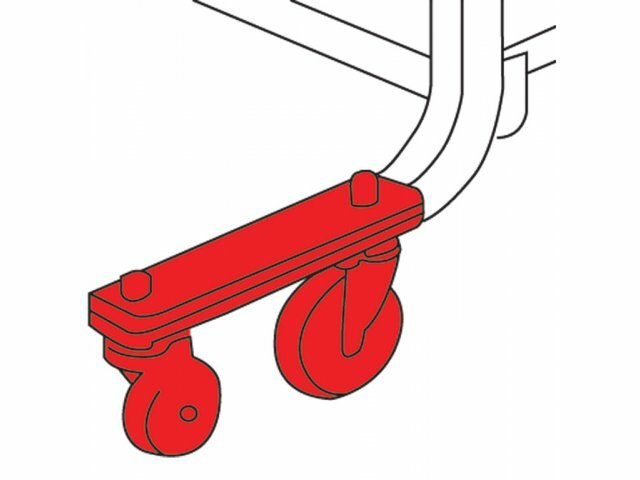 Non-marring Poly II casters roll smoothly and quietly, and are resistant to oil, water and most chemicals. Table edges — usually the first victim in a cafeteria — are protected by Edgeguard, which is highly tamper-resistant and doesn't chip or peel. Self-adjusting legs have cushioned rubber feet to keep tables secure, and the scratch and stain-resistant tabletops come in a beautifully choice of quality laminates. 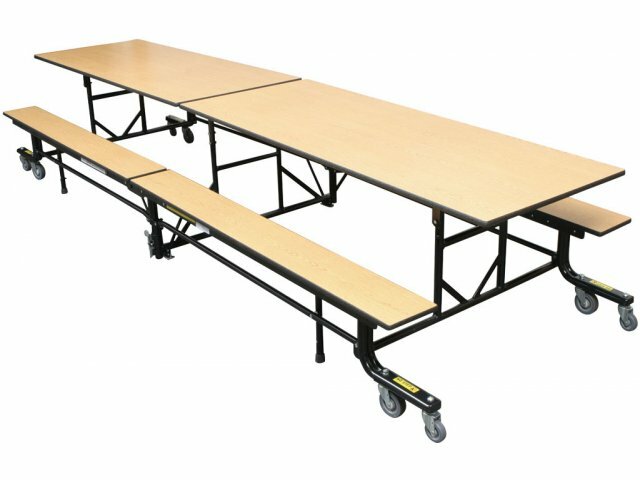 Featuring field-adjustable table height for a wide range of ages, this is a great cafeteria table for elementary schools, high schools, universities and beyond. M-3 industrial grade particleboard is a medium-grade particleboard made from wood particles and resin. It is cost-effective and versatile. 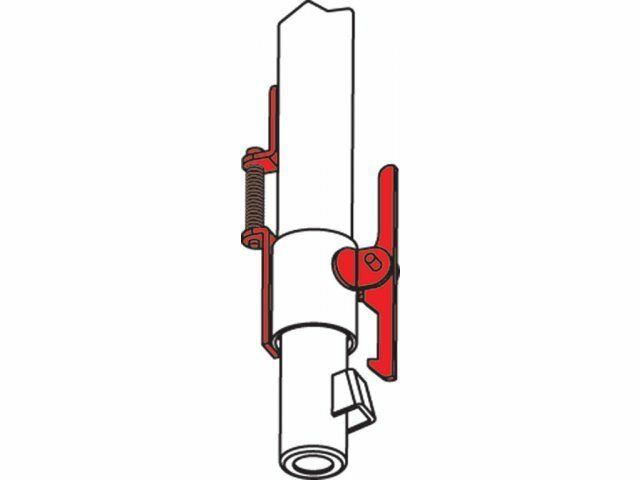 Patented Center Latches lock automatically in up or down positions. Sprayed on polyurea edge treatment is highly durable, and prevents food particles from become trapped. 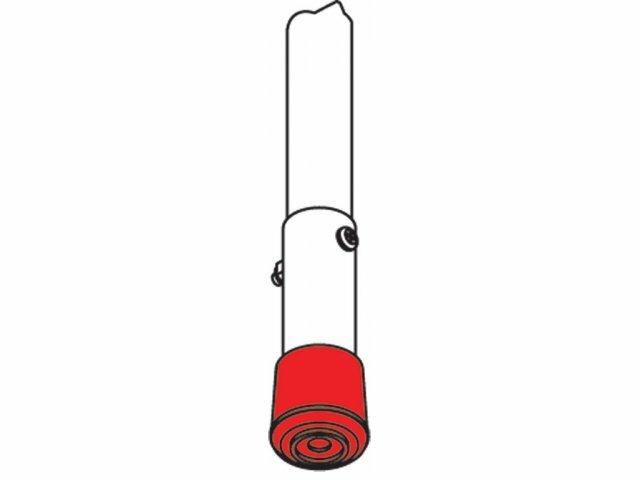 Full 180-degree hem gives effective strength of 11-gauge steel. Comfortable Seating Capacity: This 10' table can comfortably accommodate 12 children or 8 adults. Space Conserving: These cafeteria tables fold completely flat, enabling you to store more tables in less space. 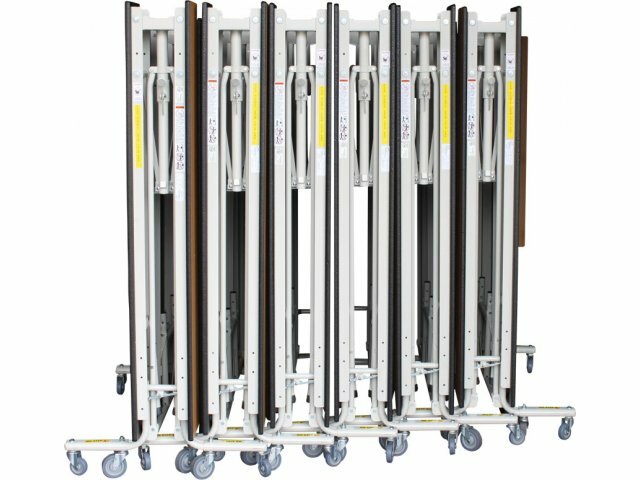 Effortless Lifting: Lift-Assist System with compression springs provides smooth, controlled table operation and effortless setup. Soft Rolling Action: High-quality casters provide quiet, easy transport and abrasion resistance without marring your floors, and are resistant to water, oil and most chemicals. Extra Stable: Anti-glide, self-adjusting legs feature cushioned rubber feet to keep tables from moving. 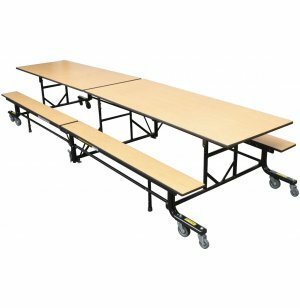 Two-Height Adjustable: Cafeteria tables can be adjusted from 27" to 29" height right out there on the floor to accommodate your everyday lunchroom table needs. 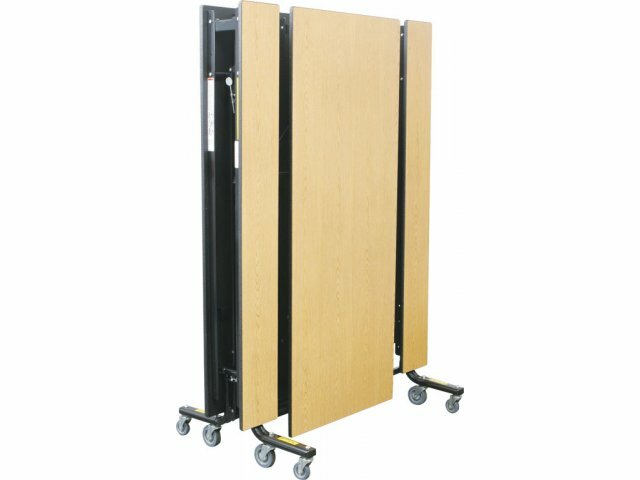 Automatic Locking: Center latches lock tables automatically in up or down positions. No-Chip Edges: Edgeguard treatment protects table edges from peeling and chipping, provides super resistance to moisture, prevents unsightly food traps, and is highly tamper-resistant. Scratch-Resistant Tabletops: A beautiful choice of quality Wilsonart laminates provides you with great aesthetic appeal as well as table surfaces that resist stains, scratches and fading. Wilsonart Colors: These cafeteria tables can be ordered in any standard Wilsonart laminate color ending in -60 or -38.